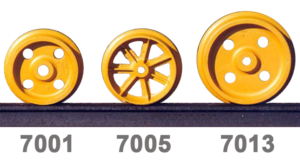 Testing by an independent laboratory proved Nolan’s 7000 Series ductile alloy wheels were superior to 5/16″ pressed steel wheels in straight running time, curved stresses, and even drop tests. Thread and flange on all wheels conform to AREMA Standards. 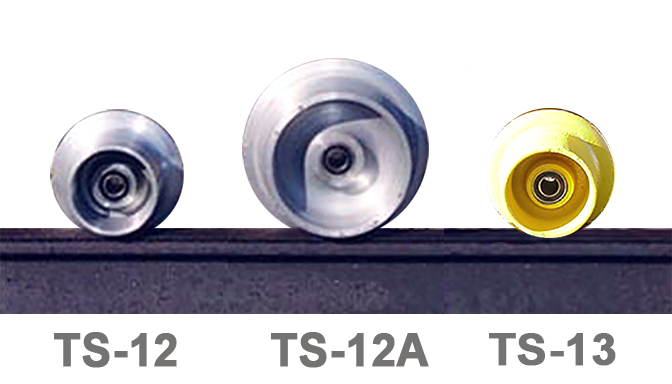 The TS Series offers a heat-treated aluminum wheel in 5″ and 8″ diameters. These wheels are used on lighter maintenance-of-way equipment when weight and ease of handling are considerations. 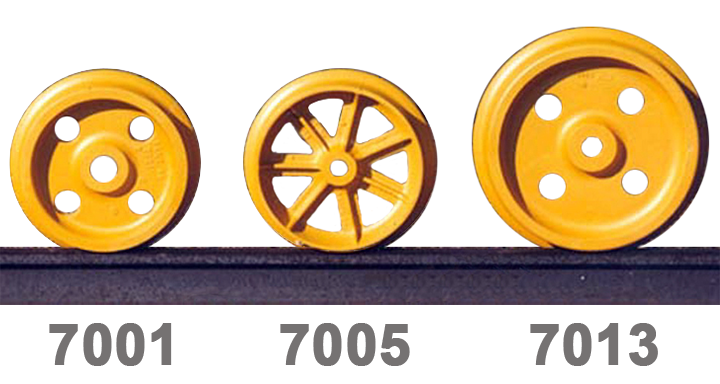 For very corrosive working conditions, 5″ wheels are available in Nolan’s special ductile alloy.